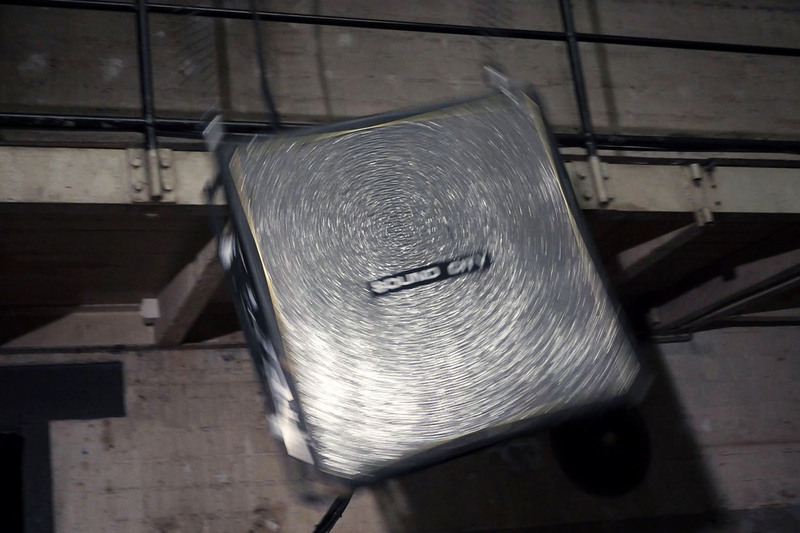 Suspended from the ceiling by two springs and equipped with an oscillating weight fixed inside its body, a Sound City loudspeaker shakes in a disorderly manner in space. 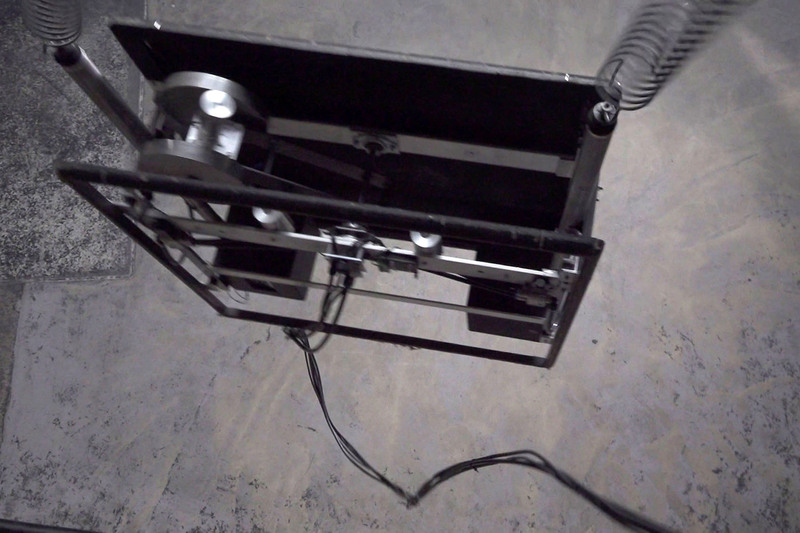 The music it plays reacts directly to the movements as if the musicians were inside the loudspeaker and trying in vain to adapt their playing to the turbulences. 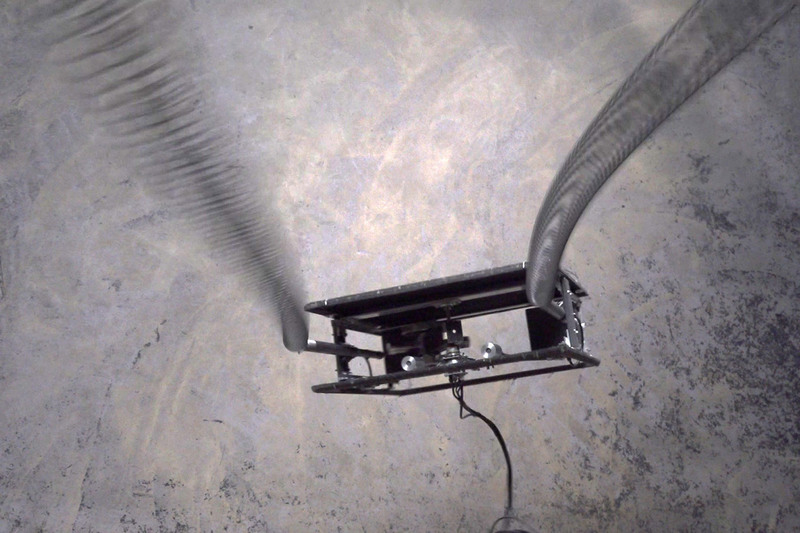 The originality of the movements comes from the pulsations and interferences produced by the interaction of two coupled harmonic oscillators (the spring and the pendulum) not having the same natural frequency. 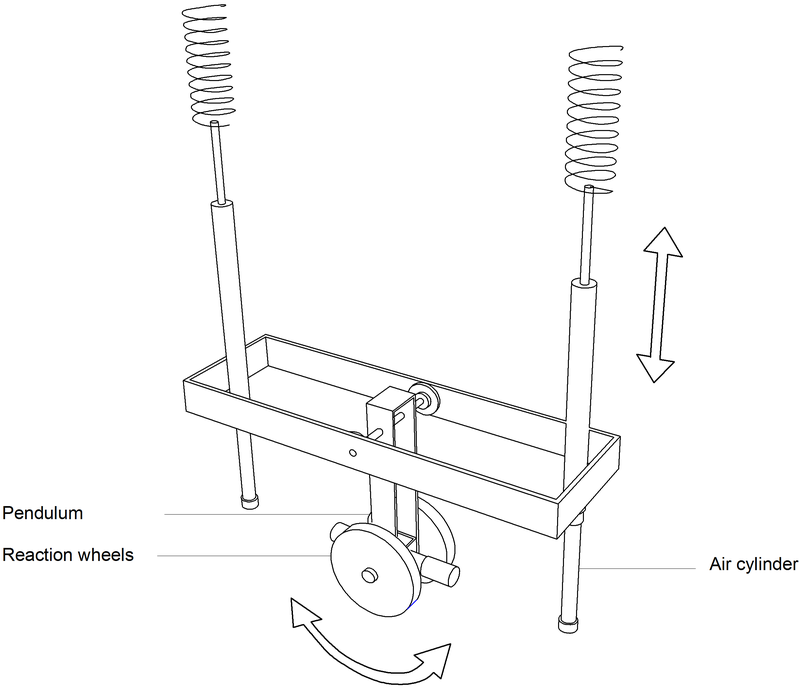 The two pneumatic jacks to which the springs are attached control the amplitude of the swings. 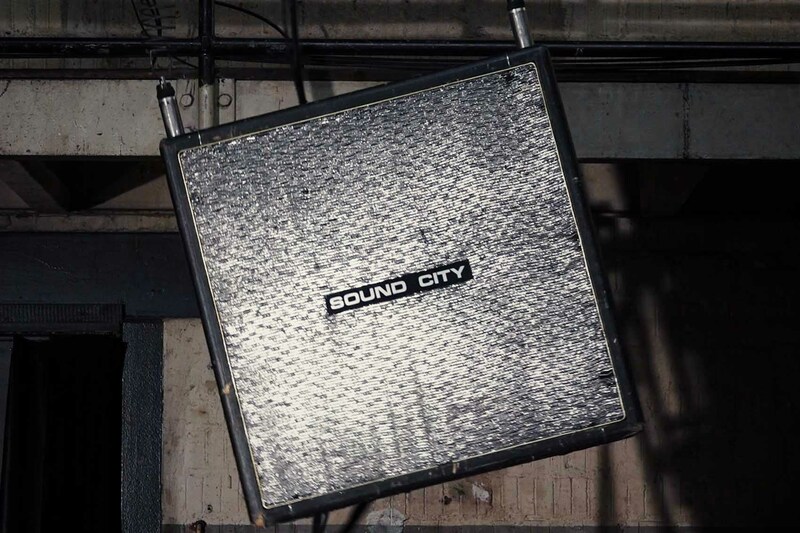 The song performed by Sound City is “The wind” by PJ Harvey. 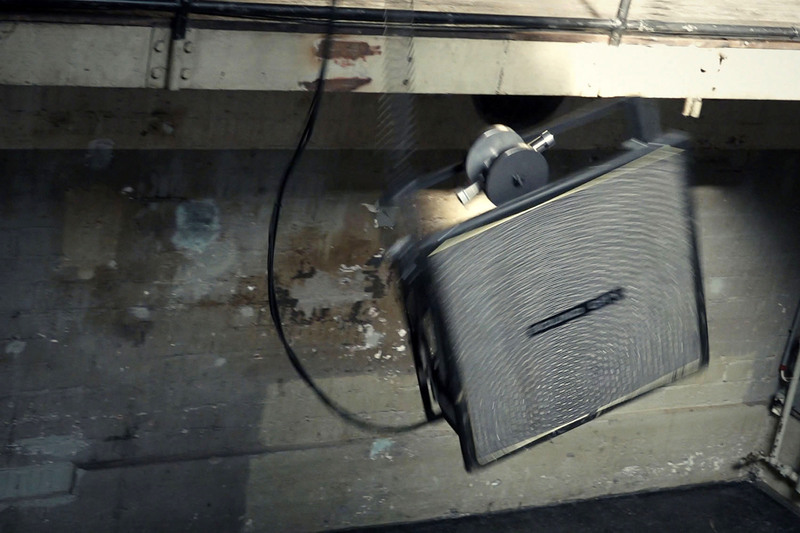 We played and recorded it several times beforehand, varying the intensity and the character. We then encoded the sequences of each instrument and each intensity, and saved them in a matrix. 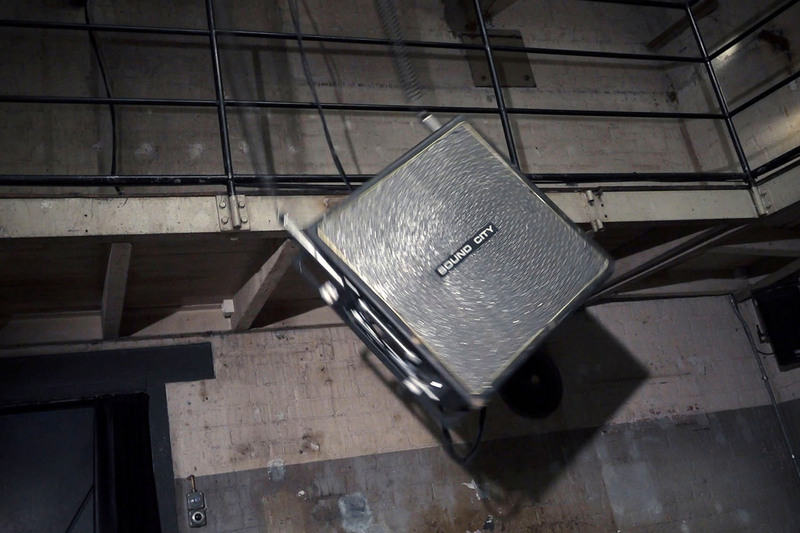 During the performance, the movements of the loudspeaker are captured. 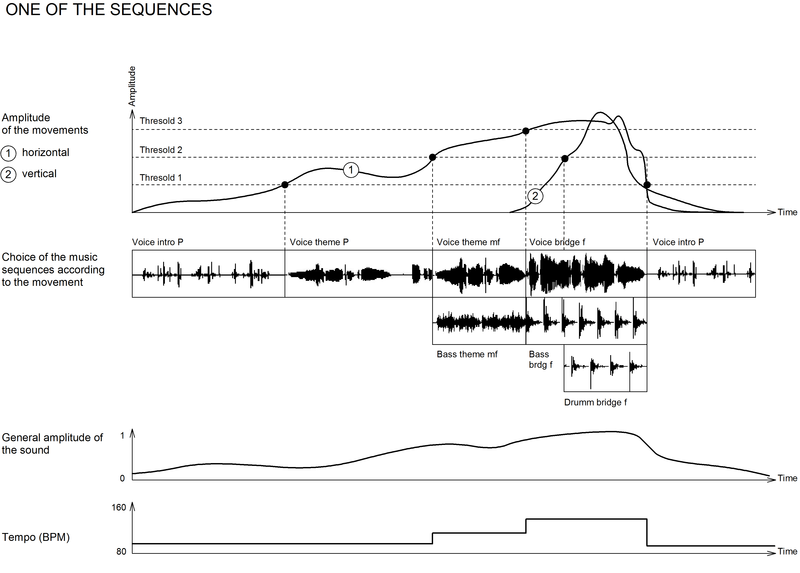 A computer dynamically recomposes the song, choosing the sequences whose intensity and character best match the movements of the loudspeaker. 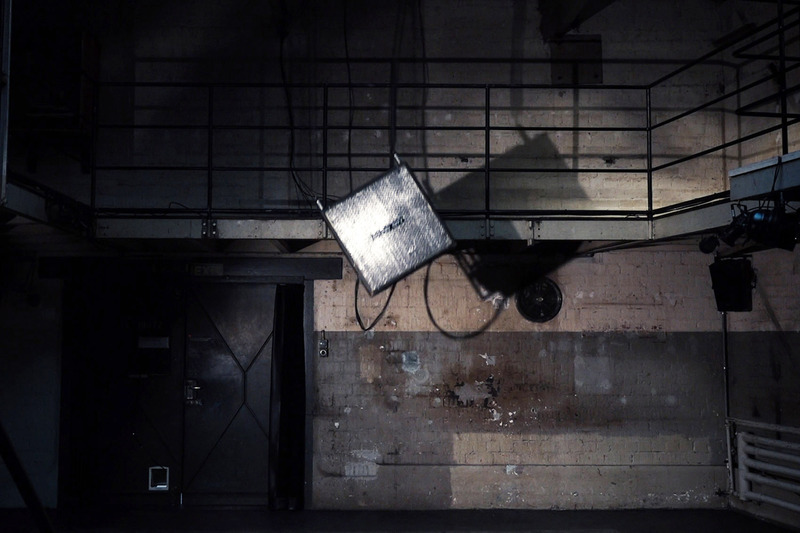 “The wind” evolves between whispers, crepitations and noisy bursts.